Small storage for different technical or biological liquids. Small industrial element of terrain, in shape of horizontal reservoir. You will need any suitable cylinder (up to 33mm width, more than 44mm length, empty small containers of Kinder surprise chocolate suits perfectly). 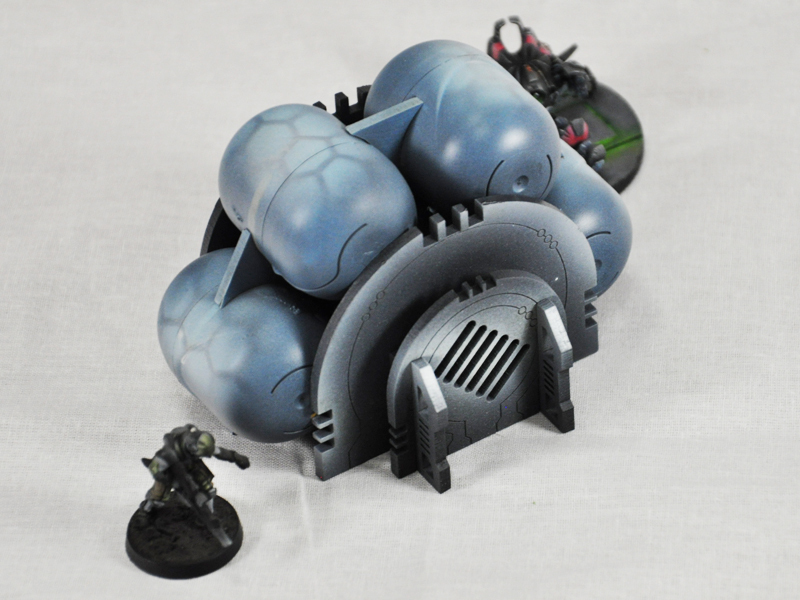 We recommend you to paint this element of terrain before assembly. Paint it with acrylic water-diluted paints. Assemble with PVA glue.